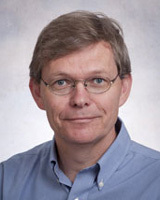 Dr. Ratjen is conducting multiple clinical trials addressing cystic fibrosis lung disease including new therapeutic strategies to target the underlying defects, treatment of airway infections such as first infection with Pseudomonas aeruginosa, airway inflammation and other important aspects of the disease. While some of these studies are single centre studies within the CF centre at SickKids or in collaboration with the adult centre at St, Michael’s Hospital, many of them include both national and international collaborations with centres in Canada, the US, Europe and Australia. In addition, he is involved in developing and validating new outcome measures to quantify important aspects of CF lung disease that can be utilized in clinical trials. He also studies other lung diseases and over the recent years has developed an interest in the clinical evaluation of Hereditary Hemorrhagic Telangiectasia (HHT), for which he is leading one of the largest dedicated pediatric clinics.